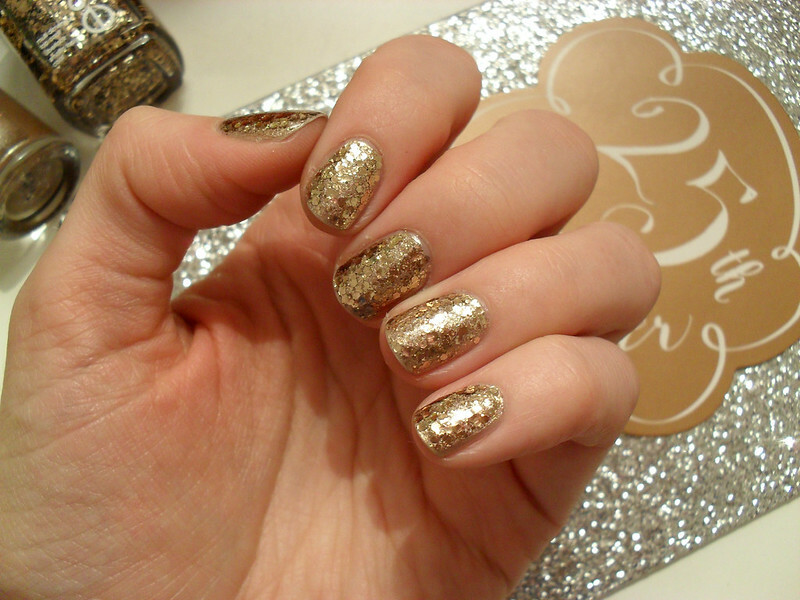 I'm quite partial to a glitter nail polish as seen here, here and here and there's no better time of the year to get your glitter out than December. 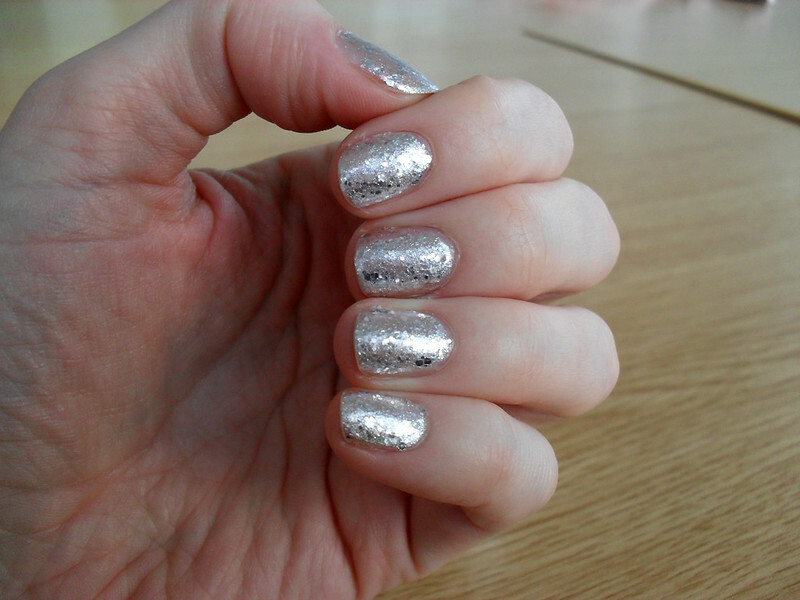 I wanted to share two of my current favourite sparkly polishes that I've been wearing this month. 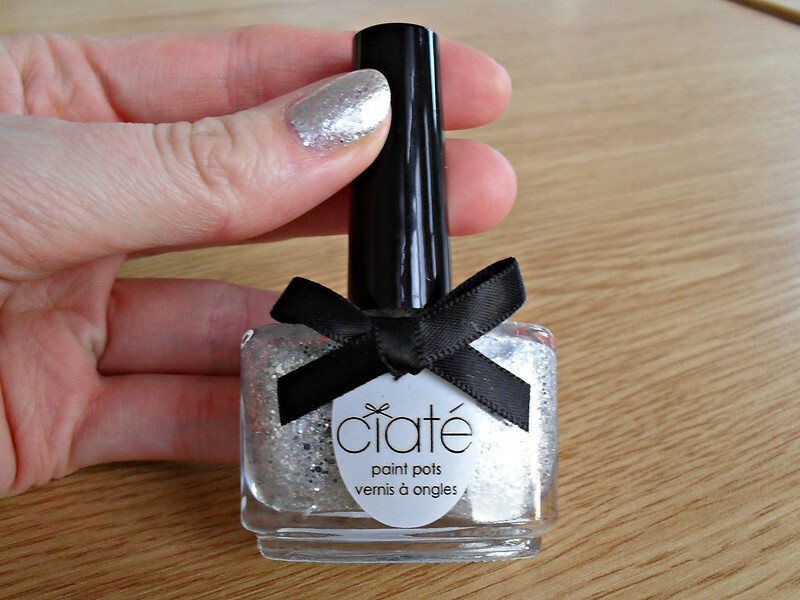 This eye-catching silver from Ciaté is called Locket and it's such a stunner! 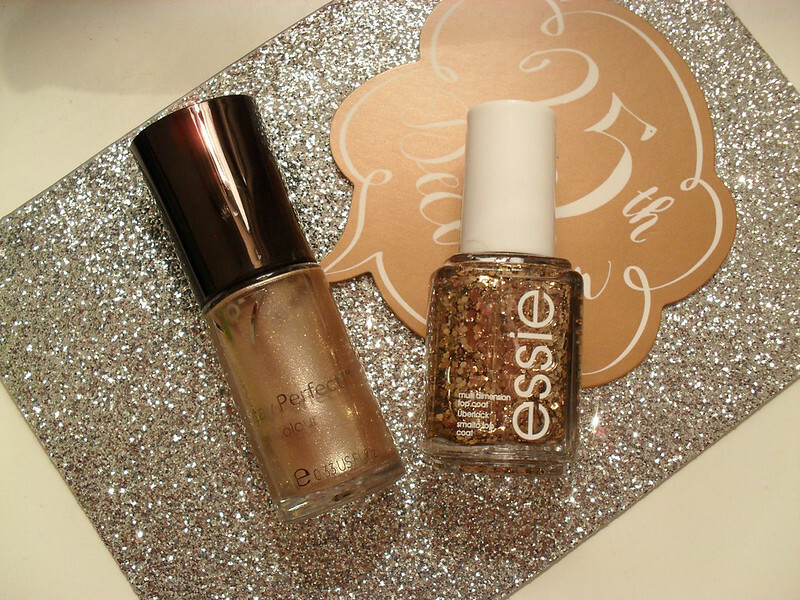 Essie Summit of Style is a bronze toned glitter top coat that I paired with No7 Moonlit Shadow, a special nail polish to me because it's the one I wore for the campaign photo shoot last year. What's on your nails at the moment? I hope you all had a lovely Christmas, mine was wonderful, despite only getting one day off work. I feel very blessed to have had such a great Christmas with my friends and family.